Boy Band, In Real Life Visits Seacrest Studios! 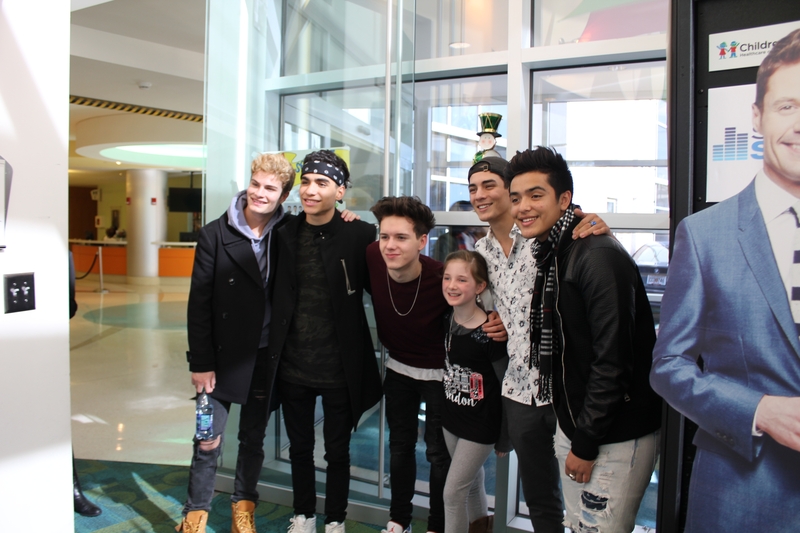 https://youtu.be/Pw-ScpbPBwI New 5-piece boy band, In Real Life popped into Seacrest Studios to celebrate the holidays with patients at Children’s Healthcare of Atlanta recently. The group, winners of ABC’s summer competition series Boy Band, consists of Brady Tutton, Chance Perez, Drew Ramos, Sergio Calderon Jr., and Michael Conor. The guys gave us some insight from the show and described how their first performance after the show was an eye-opening experience. All eyes were on them as they performed their debut single, “Eyes Closed” and a Christmas single of theirs as well. Our holiday wish is that In Real Life comes back to visit! Thank you for making our holidays as bright as your future!